JUA Kazakhstan Junior Judo Championship will be held from 13th to 15th October 2016 at Karaganda, Kazakhstan. 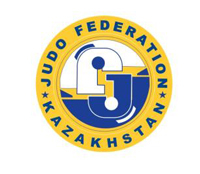 Judo Federation of Uzbekistan is organising JUA Cadets Open Judo Championships on 8 - 9, November 2014 at Chirchik. JUA Junior Judo Championships will be held from 11th to 13th September 2014 at Sport Complex �Zhastar� 1, Kazakhstanskaya str., Karagand.